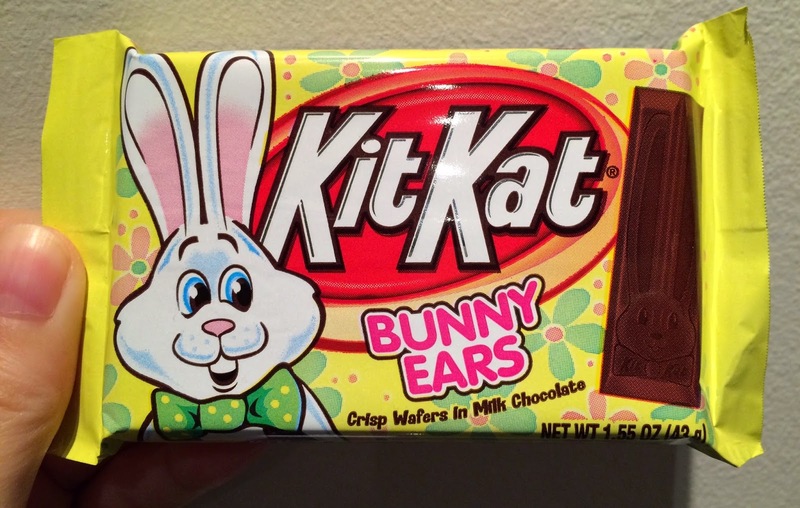 We found this KitKat Bunny Ears in February, and till today, it's been sitting in the fridge. 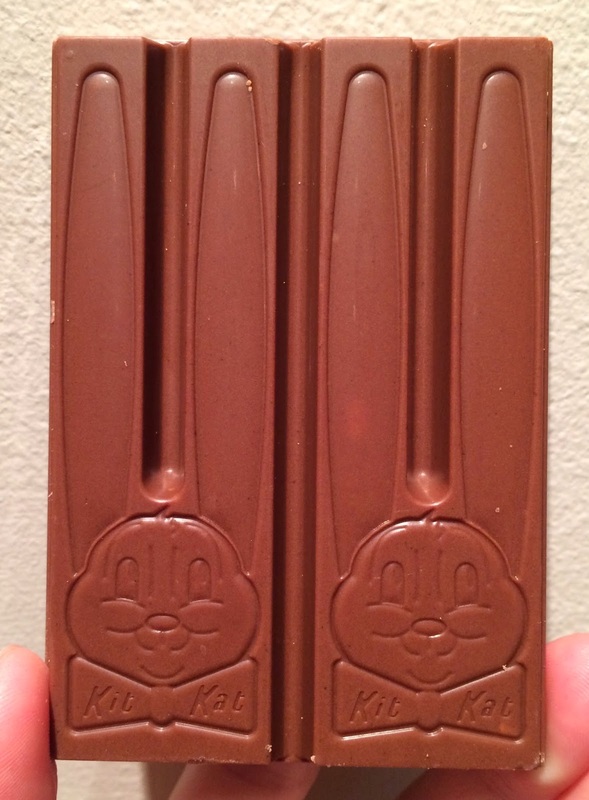 In the pouch, there're 2 rabbits were embossed with long ears. It's easy to break into half. The bow tie has "KitKat" if you take a close look. 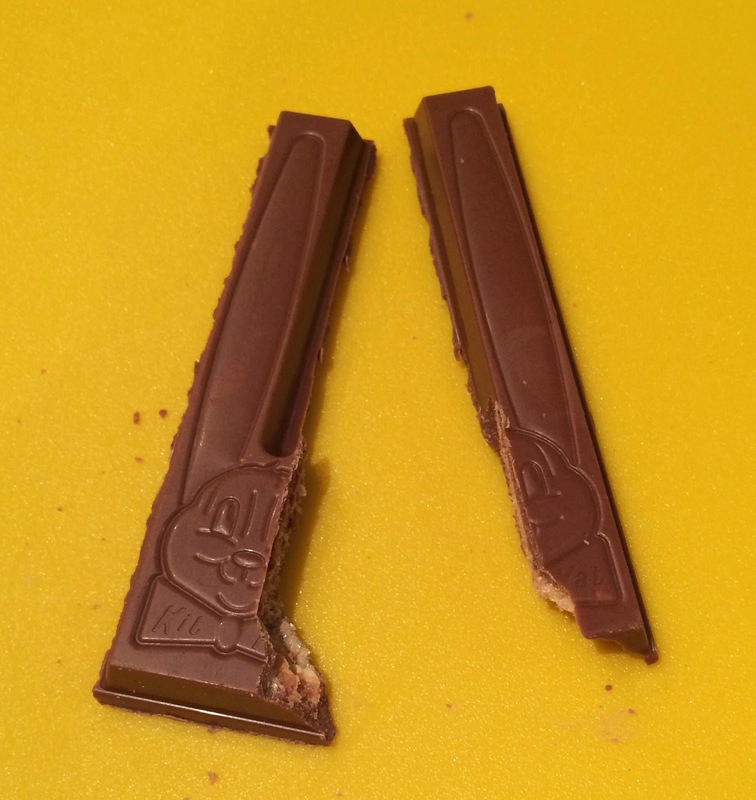 However, the face of the rabbit didn't have any line to break into smaller pieces, so when I tried to cut into half, it didn't break evenly. 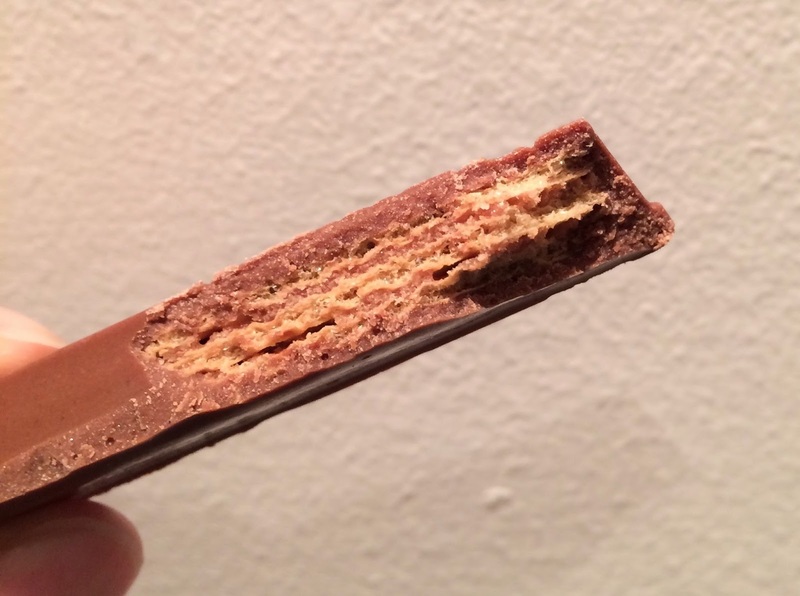 There're crispy wafers inside like regular KitKat, and it tasted like regular one.